We’ve been coming to La Paloma for over 10 years now – and it’s hard to believe, but it keeps getting better and better! Four pools, 4 jacuzzis, 3 tennis courts, 3 clubhouses, tide pools, horseback riding, ATC rides, restaurants, and shopping all without using our car once we arrive. Now that is a vacation! We love it here! We used to go to a high-rise hotel and one day- on a walk- we “found” La Paloma! No more hotels for us! It’s resort living at La Paloma from now and on! La Paloma is resort living at an affordable rate! La Paloma is resort living at an affordable rate! The full kitchen, patio, Mediterranean style with impeccable spacious grounds is just what I and my family want for our vacation. No worries — beautiful natural ocean surroundings! My son caught a fish right off the overhanging cliff at high tide! We all loved our stay! This was our first visit to the Baja. 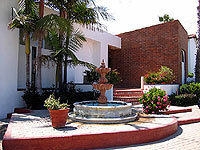 A friend referred us to “La Paloma” as a safe, secure, and tranquil place to stay. They were so right! We have checked out some other places and they don’t compare. We’ll return to “La Paloma” next holiday! 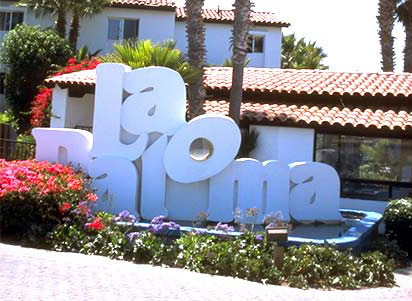 La Paloma is a serene gated community spanning 14 acres of oceanfront land in Rosarito Beach, Baja California, Mexico with 24-hour 7 days a week patrols. Built around lush gardens and tranquil courtyards, the Villas at La Paloma Beach & Tennis Club are located on the low cliffs overlooking the Pacific Ocean. All villas feature traditional Spanish design with white stucco walls with meticulous attention to even the smallest detail. 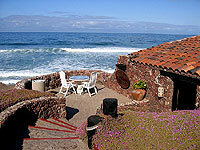 The 14 acres of La Paloma are gently rolling terrain to a unique lava rock frontage with two of the four clubhouses with stairs that lead to sandy beaches, natural tide pools, water sports – and just a ten minute walk north you will be in the heart of Rosarito Beach with the Rosarito Beach Hotel, shopping, cafes, and restaurants. Once again, please browse our photo galleries shown to the right so you can truly appreciate the natural beauty and experience the tranquility which awaits you at La Paloma. The Villas at La Paloma Beach & Tennis Resort offer a rare opportunity for those who secretly yearn for an amazing vacation!